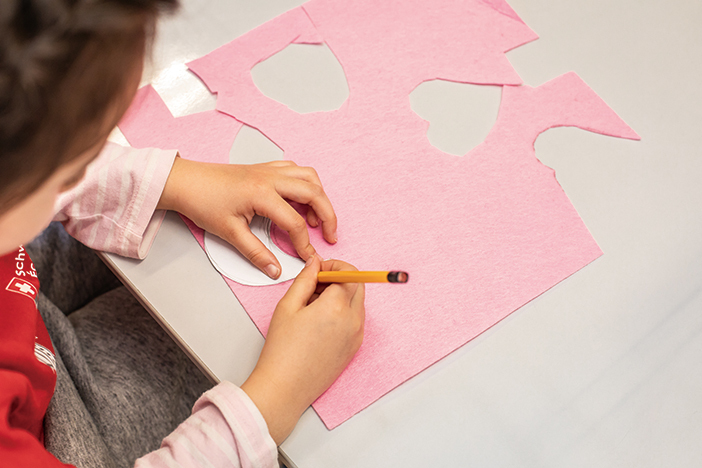 Easter is a time of spring festivals and a peak time for crafts. 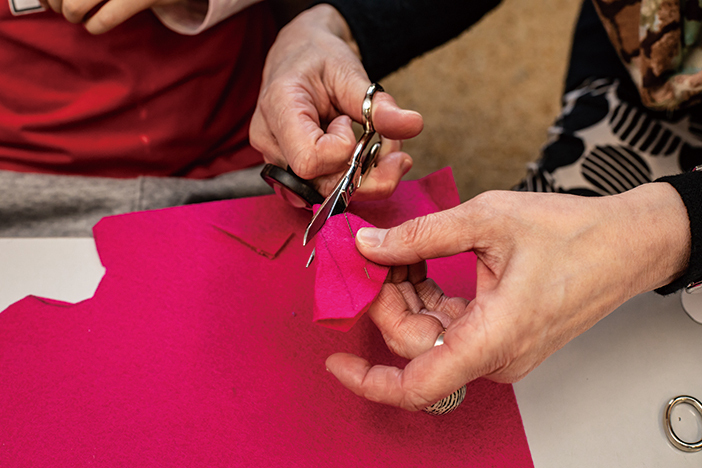 Celebrating it with a lively DIY craft brings spring sunshine to each and every corner of your home. With this project, children can join in the fun. Victoria Läuppi, a 6-year-old student from Swiss School Beijing, along with her teacher Cecile Ottiger, made a felt Easter bird. 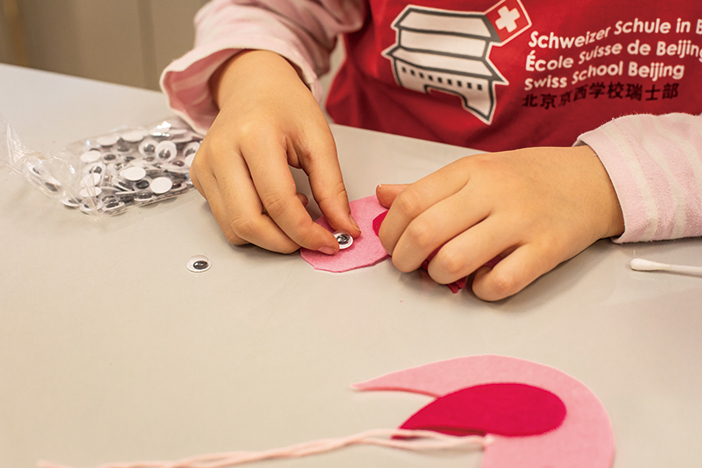 Teacher Cecile told beijingkids the felt bird would certainly brighten any home this spring. After finishing the felt bird, Victoria named it “Lucy” and made her a home on a tree branch. She also thought it would make a lovely earring for her teacher! Draw the bird motif on the thick white paper, then cut it out. Put it on the 2mm felt, draw a line around the template, and cut that out as well. We stick one wobbly eye on each side of the bird. Glue the two wings evenly on each side of the bird. 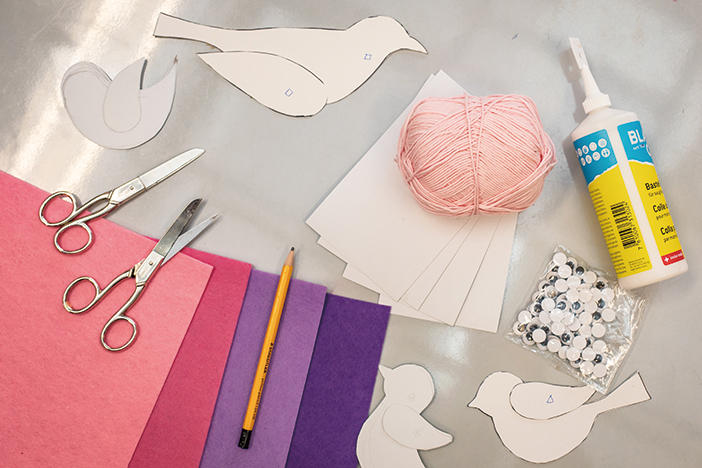 Use a hole puncher or scissors to make a hole near the edge of the bird’s back. Then, pull a colored thread through it and make a knot. Now you can hang your birds on a branch or from a floral wreath!